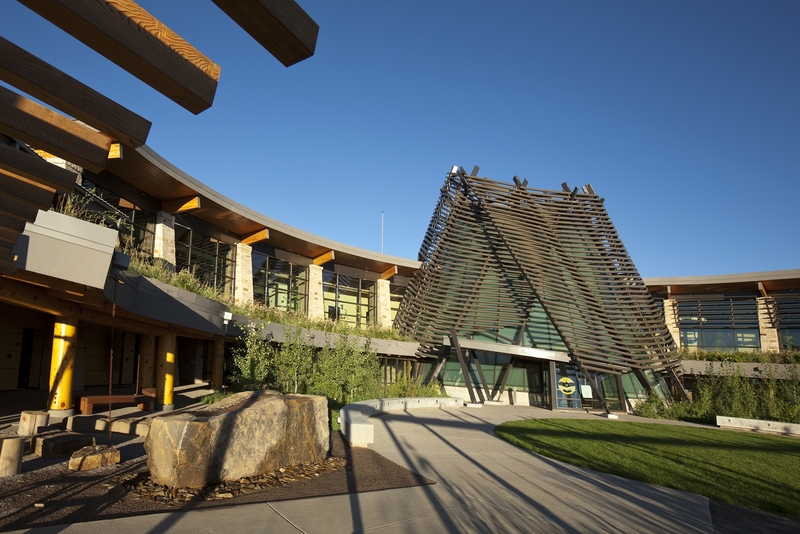 Ignacio, CO | FCI served as the Construction Manager for the construction of a new 50,000 sf two story building on ten acres of site development and infrastructure. 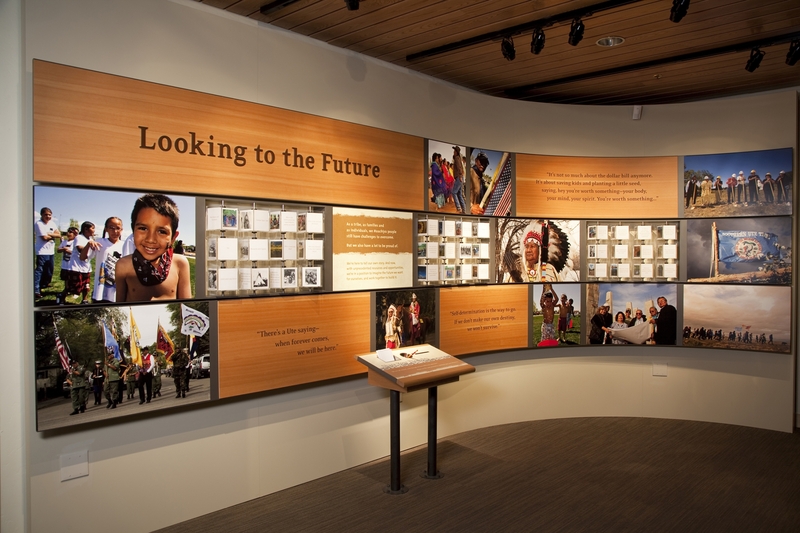 This new museum included galleries, storytelling room, classrooms, administrative suites and a library. 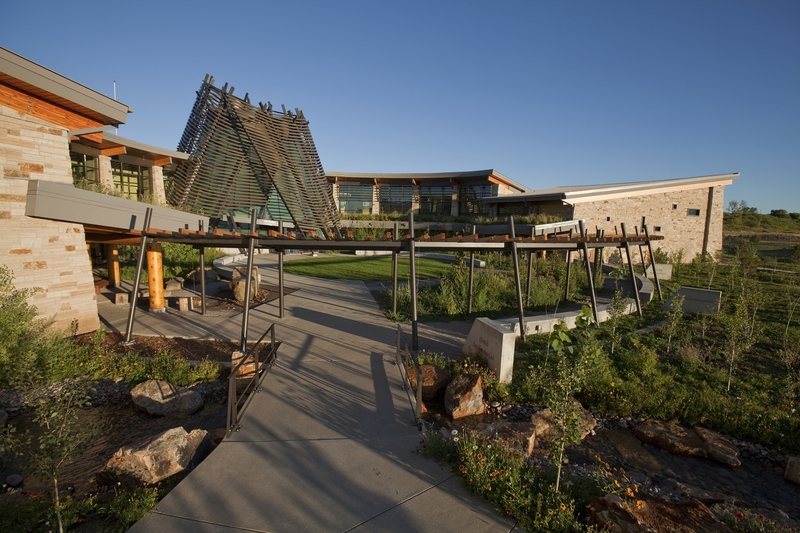 Special features of this project include: liner wood ceilings, cork flooring, wood veneer paneling, 18in diameter logs, glu-lam roof framing, structural insulated panels (SIPs), a water feature, vegetated roof system, horse corral and colored glazing. 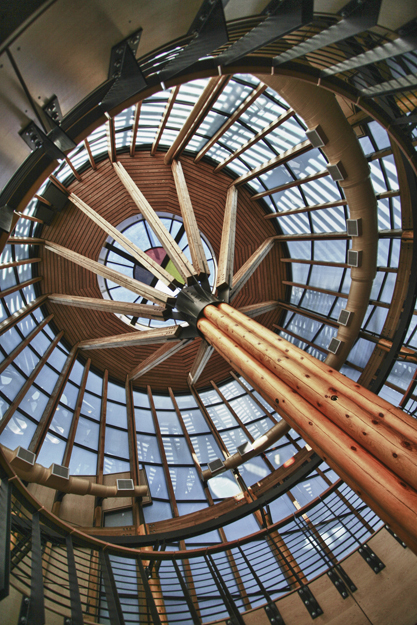 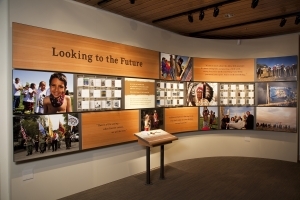 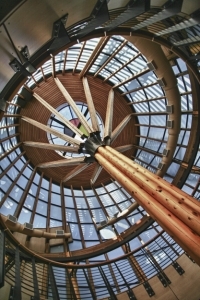 The Center features both permanent and temporary exhibits and interactive displays that tell the long history of the Ute people, including art and architecture, culture and traditions.